Somasuntharam Senathirajah alias “Mavai” Senathirajah of the Tamil National Alliance (TNA) has set his sights on the Northern Province Chief Minister post. The six foot septuagenarian currently representing Jaffna district in Parliament has staked his claim to be the newly constituted Northern Provincial Council’s first elected Chief Minister in an intriguing political move that is seemingly defiant of the intentions of TNA Parliamentary group leader Rajavarothayam Sampanthan on this issue. Senathirajah along with his supporters has also launched a multi-pronged campaign with the aim of boosting his claim to be Chief Minister. Sampanthan the veteran Tamil leader representing Trincomalee district in Parliament wants to nominate retired Chief Justice C.V. Wigneswaran as the chief ministerial candidate of the TNA. There is strong support for Wigneswaran’s candidacy among influential sections of the TNA both in Sri Lanka and abroad. Likewise there is opposition too. 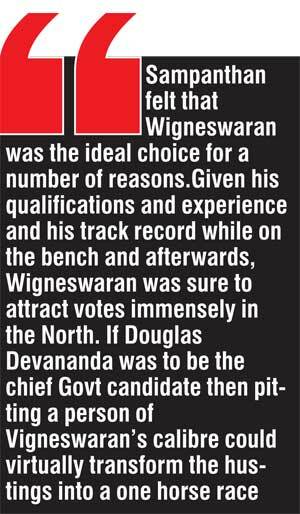 Wigneswaran himself had been wavering and vacillating about agreeing to be the TNA’s chief ministerial candidate. Finally when Wigneswaran like the Dickensian Barkis was “willing” Senathirajah has thrown his hat into the ring upsetting Sampanthan’s calculations. Given the current political mood in the predominantly Tamil Northern Province most observers and analysts opine that the TNA which is the premier political configuration of Sri Lankan Tamils would romp home easily if a free and fair election is held for the Northern Provincial Council. The debate if any is only over the margin of victory they say. In that context the expectation is that any person nominated as chief ministerial candidate by the TNA is certain to win and be duly sworn in as the first ever chief minister of the Northern Province. This notion of “Jayasikurui”(certain victory) has infused the Northern chief ministerial stakes with competitive excitement. "The asymm-etrical strength and dominance of the ITAK was resented by the other four parties. A particular accusation was that the triumvirate consisting of Sampanthan, Senathirajah and Sumanthiran made all the important decisions without duly consulting others"
compromise. It is however doubtful whether Sampanthan would be able to convince Senathirajah that he should stand down on this issue. It is quite discernible that Senathirajah is masterminding a campaign for nomination that would not relent without achieving its objective. Besides the TNA contests under the house symbol of the Ilankai Thamil Arasu Katchi (ITAK) Senathirajah is the secretary of the ITAK. Moreover, underhand methods are being adopted to pressurise Wigneswaran into pulling out from the race. Lacking guts to confront the retired Justice directly, Mavai’s minions are conducting an orchestrated media campaign to dissuade Wigneswaran from contesting. The idea is to increase the heat systematically so that the ex-Judge would voluntarily exit the kitchen. "An intere-sting feature of post - 2010 election Tamil politics was increasing pressure on the TNA to both enlarge its membership and concretise its structural unity. Parallel to this pressure was the renaissance and assertion of the ITAK while remaining within TNA folds"
The tussle for chief ministerial candidacy brings the TNA under the spotlight. This column has in the past focused often on the dissension within the five constituents of the Tamil National Alliance. Earlier the main bone of contention was between the Ilankai Thamil Arasu Katchi (ITAK) and the other four members of the alliance. Fortunately for the TNA those differences were put on the backburner as elections to the North became a distinct possibility. Unfortunately for the TNA the advent of elections that brought about unity on one front now heralds disunity on another. When the Tamil National Alliance came into being in 2001 it had four constituent members. The press communique issued on October 22nd 2001 heralding the formation of the Tamil National Alliance was signed by four persons representing the Tamil United Liberation Front, All Ceylon Tamil Congress, Tamil Eelam Liberation Organisation and Eelam People’s Revolutionary Liberation Front. They were R.Sampanthan (TULF), N. Kumarakuruparan (ACTC) N. Srikantha (TELO) and K.Premachandran (EPRLF). Kumarakuruparan is now with Mano Ganesan’s Democratic People’s Front. "Among the names being bandied or talked about as potential chief ministerial candidates were retired Jaffna university professor S.K. Sittambalam, ex-Jaffna Municipal Commissioner C.V.K. Sivagnanam, Colombo University Law Professor V.T. Thamilmaran, Retired Jaffna High Court Judge E.T. Vicknarajah and former “Uthayan” newspaper Editor N. Vithiyatharan"
The ITAK was not in the picture when the TNA was formed originally. The Ilankai Thamil Arasu Katchi known as the Federal Party was then the primary component of the Tamil United Liberation Front. The ITAK or Federal party had together with three other parties formed the Tamil United Front (TUF) in 1971. The TUF was born again as a new avatar known as the Tamil United Liberation Front (TULF) in May 1976. It was under the Sun symbol that the TULF contested the 1977 July elections and obtained a sweeping victory winning 18 out of 19 Tamil majority electorates in the North and East. The newly formed Tamil National Alliance of 2001 contested under the TULF symbol Sun. Parliamentary polls in December 2001 saw the TNA getting fifteen seats including a national list MP. The TULF President of that time Murugesu Sivasithamparam was appointed national list MP. Of the fifteen TNA seats the TULF had seven, TELO had four, ACTC had three and the EPRLF one. The TNA then contested under the aegis of the TULF. The electoral symbol of the TNA then was the Sun, which was portrayed politically as the rising sun or Uthayasooriyan. The TNA tryst with the Sun symbol had a short time span. After Sivasithambaram’s demise Veerasingham Anandasangaree became President of the TULF. Sangaree soon fell foul of the Liberation Tigers of Tamil Eelam (LTTE) in trying to assert and uphold the independence and dignity of the TULF. This led to the LTTE pressurising the TULF to remove their president from office and deprive him of his MP seat. The bulk of the TULF capitulated and Anandasangaree was removed from party office. Sangaree however went to courts challenging his removal. There was also legal wrangling over who was entitled to the Sun symbol. While the court case was in progress Parliamentary elections were called in April 2004.While a faction of the TULF led by Anandasangaree contested outside the TNA, the bulk of the TULF under Rajavarothayam Sampanthan contested as part of the TNA. With a court case on, both sides could not use the election symbol ‘Sun.’ Sangaree fielded an Independent list under the symbol ‘Lock.’ Later on after elections courts ruled in favour of Sangaree who is now in possession of the Sun symbol. The TNA deprived of the Sun symbol opted for the ITAK symbol ‘House’ in 2004. Thus the dormant Ilankai Thamil Arasu Katchi obtained a fresh lease of life. While Sampanthan was the President Somasundaram Senathirajah known as “Maavai” Senathirajah functioned as ITAK General Secretary. The 2010 elections saw the TNA contesting under the ITAK symbol of ‘House’ winning decisively. It had fourteen seats including a national list MP. The lawyer M.A. Sumanthiran was appointed TNA national list MP. The thirteen elected MPs were R.Sampanthan from Trincomalee; S .Senathirajah, K. Premachandran, A Vinayagamoorthy, E.Saravanabavan, S. Shritharan from Jaffna; A.Adaikkalanathan, S. Vinoharathalingam, S. Ananthan, from Wanni; P. Selvarasa, P.Ariyanenthran, S. Yogeswaran from Batticaloa and P. Piyasena from Amparai respectively. An interesting feature of post - 2010 election Tamil politics was increasing pressure on the TNA to both enlarge its membership and concretise its structural unity. Parallel to this pressure was the renaissance and assertion of the ITAK while remaining within TNA folds. The mounting pressure on the one hand for the TNA to restructure itself as a single party and the determination of the ITAK rank and file to preserve its distinct identity on the other caused an intra-TNA crisis. Of the original four parties that formed the TNA the All Ceylon Tamil Congress is now out as the ACTC is now functioning separately by providing its facilities and symbol to the Tamil National Peoples Front. Vinayagamoorthy elected as MP in 2010 is no longer with the Tamil Congress and is functioning independently within the TNA. The TNA now consisted of three parties but soon there were two additions. The TULF under Aanandasangaree and the PLOTE under Dharmalingam Siddharthan together with the EPRLF faction headed by Thirunavukkarsu Sreetharan alias Sugu had been functioning as a loose combine for a while. Influential sections of the Global Tamil Diaspora began exerting pressure on Tamil parties in Sri Lanka to unite. These sentiments were reflected in the Sri Lankan mainstream Tamil media. In such a situation both the TULF and PLOTE were taken into the TNA. The EPRLF faction led by Sugu could not join the TNA due to stubborn opposition by Suresh Premachandran who insisted that his EPRLF was the sole EPRLF. The TNA now comprises five political parties. The asymmetrical strength and dominance of the ITAK was resented by the other four parties. A particular accusation was that the triumvirate consisting of Sampanthan,Senathirajah and Sumanthiran made all the important decisions without duly consulting others. There was also a demand that the TNA should be formally registered as a political party and inner party structures be set up. The idea was to downsize the ITAK and make it on par with the other parties. The ITAK was not budging. It was in this situation that the prospect of Northern Provincial Council elections loomed large on the political horizon. It was very necessary at this juncture for the TNA to patch up differences and forge unity to meet the challenge. The ITAK realising the need to harness all resources of its constituent partners for the election adopted a course of flexible adjustment. It opted to be on par with the other parties in this matter. The ITAK agreed to set up a committee of all five constituents to coordinate matters concerning the Northern poll. Initially a fifteen member committee comprising three representatives from each party was set up. Later it was increased to twenty with four each for a party. The nominees on this committee from the ITAK were Parliamentarians Senathirajah, Selvarajah, Sumanthiran and Shritharan. TNA leader Sampanthan was not in it. However the other parties requested that Sampanthan should chair the committee. Thus it was expanded to twenty-one with Sampanthan at the helm. Three other smaller committees were set up under the purview of the Coordinating or “Orunginaippuk Kuzhu”. The committee in charge of election propaganda has ten members with two from each party. The finance and nomination committees had five members each. The five constituents had a representative each on these committees. With the Elections Commissioner calling for nominations to the Northern council from July 25th to August 1st the TNA coordinating committee met at the TNA office in Colombo on Thursday. Those present were R. Sampanthan, Mavai Senathirajah, P.Selvarajah and MA Sumanthiran -ITAK, A. Adaikalanathan (Selvam), N Srikantha, Henry Mahenthiran and “Jana” Karunakaran –TELO, Kandiah Premachandran (Suresh) R.Thurairatnam and K. Sarveswaran -EPRLF, S. Sangiah and G.Krishnapillai TULF and D. Siddharthan, K. Sivanesan, and S.Ragavan - PLOTE. The meeting was convened primarily to select the chief ministerial candidate. With Senathirajah refusing to toe Sampanthan’s line the proceedings were postponed. The run up of events leading to the collision course between Sampanthan and Senathirajah are rather revealing. While exposing the fault lines in the making of the TNA it also lays bare the sheer hypocrisy of power hungry politicians masquerading as self-sacrificing leaders of their community. It also brings into focus the influence of extraneous forces over Tamil politics in Sri Lanka. When elections to the Eastern Provincial Council were first held in 2008 the Liberation Tigers of Tamil Eelam (LTTE) were still a fighting force in the North. So the TNA functioning then as a mouthpiece of the tigers was not permitted to contest. The TNA sought to justify its stance by saying it would not contest Provincial elections as the North –East merger was no longer in existence. It also harped on its familiar cry of the 13th Amendment being inadequate. When elections to the Eastern council were held for the second time last year the LTTE had been defeated militarily and was no longer a constraining factor on the TNA. Besides there was a very good chance of the TNA doing well enough to capture power in the Eastern province. So the TNA contested and fared extremely well. 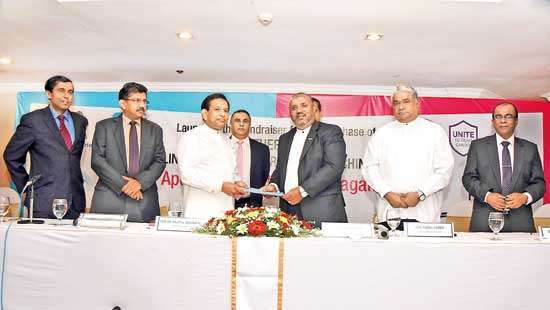 Had the Muslim Congress been willing, the TNA, SLMC and UNP could have formed the Eastern administration together. That was not to be! But the Eastern performance whetted the TNA appetite towards the anticipated Northern provincial poll. The magic of Tamil nationalism that worked wonders in the East would work equally well in the North too. Besides emotional issues such as the prevailing military presence, appropriation of lands and houses for security purposes etc would provide a rousing platform to garner Tamil votes. It seemed a foregone conclusion that the TNA would capture power in the North. The questions were how many seats will it win? And who would be the chief minister? Initially the latter question had many contenders vying to be the answer. Among the names being bandied or talked about as potential chief ministerial candidates were retired Jaffna university professor S.K. Sittambalam, ex-Jaffna Municipal Commissioner C.V.K. Sivagnanam, Colombo University Law Professor V.T. Thamilmaran, Retired Jaffna High Court Judge E.T. Vicknarajah and former “Uthayan” newspaper Editor N. Vithiyatharan. If these were spoken of as contenders outside active politics there were aspirants from within political parties too. Somasuntharam Senathirajah of ITAK, Kandiah Premachandran alias Suresh of EPRLF, MK Sivajilingam of TELO also evinced interest in the chief ministerial stakes at one point of time. Other possibilities for the Chief minister post were veteran Politician Veerasingham Aanandasangaree of the TULF and Dharmalingam Siddharthan of the PLOTE. Two other names spoken about were former Mannar MP P. Soosaithasan and SC Chandrahasan the son of respected Tamil leader S.J.V. Chelvanayagam or “Thanthai Selva”. It appeared that the prevalent fragile unity of the TNA might shatter over the huge competition to be chief minister. It was in this situation that TNA leader Rajavarothayam Sampanthan thought of bringing in a complete outsider with exemplary qualifications and unimpeachable credentials as chief ministerial candidate. His choice was retired Supreme Court Judge C.V. Wigneswaran whose name had been proposed to the TNA leadership by members of the Tamil elite in Sri Lanka and abroad. 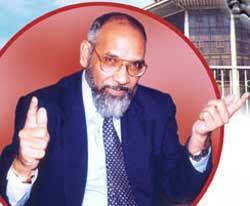 Justice Wigneswaran though of Jaffna origin had grown up in Colombo studying at Royal College. He had a distinguished record at the bar before mounting the bench. He had made a name for himself after retirement by making erudite, courageous speeches on different occasions. Be it matters affecting the Tamil community in particular or issues relating to the country at large such as independence of the Judiciary, Vigneswaran had spoken out loud and clear. He had not hesitated to speak truth to power. Essentially a cosmopolitan, Wigneswaran also retained strong Hindu links. Sampanthan felt that Wigneswaran was the ideal choice for a number of reasons.Given his qualifications and experience and his track record while on the bench and afterwards, Wigneswaran was sure to attract votes immensely in the North. If Douglas Devananda was to be the chief Govt candidate then pitting a person of Vigneswaran’s calibre could virtually transform the hustings into a one horse race. It was also necessary to have a man of eminence like Wigneswaran as Northern chief minister at this historic juncture. The new chief minister would have to meet with the Colombo Govt on a number of matters. He needs to negotiate with the Govt for more powers, resources and functions for the council. He must possess the ability to interact on equal terms with the Governor and military hierarchy in the North. He must also be able to deal with International leaders, diplomats and media personnel. These required extraordinary attributes and ideally, Wigneswaran seemed to fit the bill. Besides Wigneswaran possessed legal acumen and expertise that could be of crucial importance. More importantly Sampanthan also felt that the quibbling over Chief ministerial stakes in the TNA would end once Wigneswaran was picked. He expected the other contenders to bow out gracefully when a man of Wigneswaran’s mercurial stature became available. Thus internal dissension on this account could be avoided. But how wrong Sampanthan was in judging the nature of current Tamil politics in a climate where mediocrity and not merit rules the roost! When approached Wigneswaran himself was reluctant to get into active politics. He preferred to be in the background and be an adviser rather than face hustings. Also he was fully aware of the internal differences in the TNA and did not want to get enmeshed in a political web. He wanted a united invitation from all five TNA constituents. Wigneswaran also entertained the notion that he could lead an Independent united list of Tamils rather than that of a political party. With such options being ruled out, Wigneswaran respectfully declined the offer. Other currents too were flowing across the Elephant Pass isthmus even as Sampanthan was wooing Wigneswaran. While the Jaffna elite was delighted with the choice of Wigneswaran other political elements in the ITAK were not greatly enamoured of the ex-supreme court judge. The party machinery was doubtful whether the independent Wigneswaran would fit into the Jaffna political scene and abide by the decisions of the TNA. He was seen as an uncontrollable personality. So Gulliver had to be restrained by the Lilliputians. Jaffna district MP and ITAK secretary general “Mavai”Senathirajah was encouraged to contest. His name had been in the running for quite a while but was not thought of positively as chief minister material earlier. Besides Suresh Premachandran of the EPRLF had ambitions of his own and regarded the genial Senathirajah as a pushover. Senathirajah himself had qualms about being getting involved with a Provincial council that lacked adequate powers. Also he had no intention of trying to replace Wigneswaran as the TNA choice at that stage. The situation however changed when Wigneswaran turned the offer down. Senathirajah was worried that the TNA may pick Aanandasangaree as chief ministerial candidate. This would have been a bitter pill for Senathirajah to swallow. Although Sangaree was responsible for making Senathirajah national list MP after the assassination of Dr.Neelan Tiruchelvam in 1999, the relationship had later soured. Though both were now in the TNA there was much friction between them. Under these circumstances Senathirajah decided to seek chief ministerial candidacy himself. His resolve to do so was strengthened further after the TNA concluded its New Delhi trip. Canvassing began and other TNA constituents were approached. Sampanthan however had not given up on Wigneswaran. The TNA leader continued his efforts to convince Wigneswaran that he should become chief minister. TNA national list MP and Lawyer MA Sumanthiran was of yeoman service to Sampanthan in this. Several prominent Tamils in Sri Lanka and abroad kept on requesting Wigneswaran to say “yes.” After persistent efforts by the TNA duo and others, Wigneswaran finally consented. Senathirajah was informed about Wigneswaran being willing. Senathirajah was not happy but did not protest. A campaign was already on to promote Senathirajah for the chief minister candidacy. 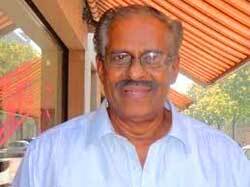 70 year old Somasuntharam Senathirajah was born on October 27th 1942. He hails from Maaviddapuram in Valigamam North. 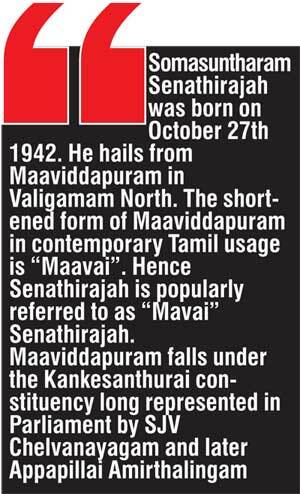 The shortened form of Maaviddapuram in contemporary Tamil usage is “Maavai”. Hence Senathirajah is popularly referred to as “Mavai” Senathirajah. Maaviddapuram falls under the Kankesanthurai constituency long represented in Parliament by SJV Chelvanayagam and later Appapillai Amirthalingam. Senathirajah was a youth activist of the ITAK also known as the Federal Party. He engaged in many protest demonstrations and was arrested in 1972 by the United Front Govt of Sirima Bandaranaike. He along with 41 others was detained at Welikada for many years. 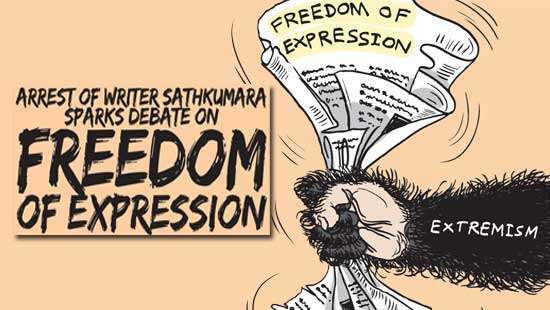 The FP newspaper “Suthanthiran” promoted Mavai Senathirajah, poet Kasi Anandan and Vannai Aanandan among the 42 detenues by focussing on their incarceration specifically. 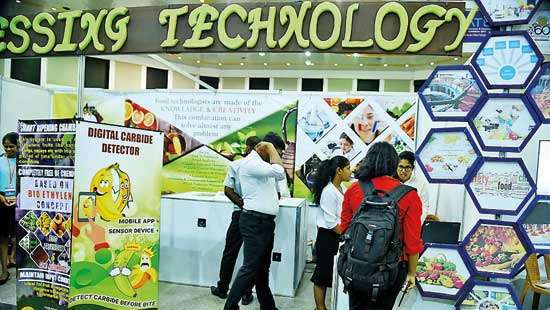 This contributed to the trio gaining cult status among Tamil youths of an earlier generation. Senathirajah was released in 1975 and re-arrested after the assassination of Jaffna Mayor Alfred Dorayappa in July the same year. He was released in 1977 and participated in the July 1977 election campaign where the TULF captured 18 seats on a platform for separation. Senathirajah now headed the TULF youth front known as “Ilaingar Peravai”. He was jailed on two occasions during the 1977 -83 period. Mavai relocated to Chennai after the 1983 July violence and functioned as the man-in-charge of the TULF office there. After the assassination of Amirthalingam by the LTTE in 1989, Senathirajah demanded that he be appointed to fill the national list vacancy and became MP. In 1994 Senathirajah contested in the Amparai district but failed to get elected. When Dr.Neelan Tiruchelvam was killed by the LTTE in 1999, Senathirajah was appointed in his stead. 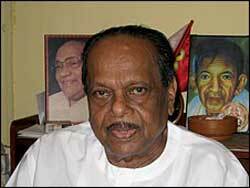 Senathirajah contested in Jaffna on the TULF ticket in 2000 and was elected to Parliament. He was elected again to Parliament from Jaffna in 2001, 2004 and 2010 respectively. It is apparent that Mavai Senathirajah is aiming to be Northern chief minister. The opening gambit was when the Jaffna branch of the ITAK passed a resolution demanding that Senathirajah be made chief minister candidate. Sampanthan countered it by saying an appropriate decision would be made by the entire TNA in due course. Thereafter news items were planted in a Tamil newspaper saying that the TELO, PLOTE and EPRLF were supportive of Senathirajah’s candidacy. In a bizarre twist an ex-Municipal councillor in Jaffna threatened self-immolation if “Mavai Annan”(elder brother) was not given nomination. Senathirajah himself was seemingly non committal in a bid to convey the image of being disinterested in the post but upon hearing Wigneswaran was now willing to contest “Mavai” declared his intention to seek chief minister office by issuing a press statement. However he mentioned in the statement that he would abide by the party decision taken by the TNA coordinating committee. A multi-pronged media campaign is now underway to secure Senathirajah’s nomination as chief ministerial candidate of the Tamil National Alliance. Vicious attacks are being launched in sections of the Tamil media against Wigneswaran and the Sampanthan-Sumanthiran duo. Wigneswaran is being vilified as elitist and as a Colombo Tamil. He is being depicted as a man who had lived outside Jaffna and therefore not a son of the soil like Mavai. A venomous statement was issued by Batticaloa district TNA parliamentarian P. Ariyanenthiran as part of this campaign. He derisively referred to Wigneswaran as a man who knew only the Nallur temple whereas Senathirajah was familiar with all parts of the North and East. Ariyanenthiran also accused Wigneswaran of being enmeshed with Sinhala majoritarianism as his children were married to Sinhalese. Therefore Wigneswaran’s Tamil nationalist credentials were suspect, alleged Ariyanenthiran. The aim of the pro-Senathirajah campaign seems to be that of targeting Wigneswaran through the media and compelling him to opt out of the chief ministerial stakes. Since Wigneswaran has been reluctant to plunge into active politics the campaigners hope to draw blood by attacking the Colombo based Ex –Judge on a low personal level. If that does happen and Wigneswaran throws in the towel, then the field would be clear for Mavai Senathirajah who would then allow himself to be propelled into chief minister candidacy in deference to the wishes of the TNA. On the other hand Sampanthan would keep trying to persuade Senathirajah to drop out of the race. It is however a multi-crore question as to whether Mavai would comply. It is noteworthy that Senathirajah’s candidature at the coordinating committee is being sponsored by members of other constituent parties and not the ITAK. It is learnt that Sampanthan has been waxing eloquent on the merits of Wigneswaran and the imperative need to make him the chief minister. Whether Sampanthan can move minds that are already made up remains to be seen. Sampanthan as a last resort may threaten to quit his position in the TNA. If that happens Senathirajah may have to reconsider. 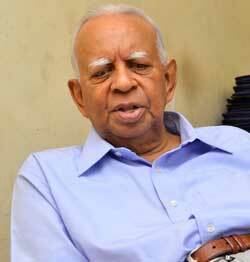 The TNA cannot afford to lose Sampanthan in the current environment. It is against this backdrop that the TNA coordinating committee would be meeting to select the chief minister candidate. It is very likely that the decision would have been made by the time this column appears in print.